The time is nearly here to experience ZSL Whipsnade Zoo….at night. To ensure you have a fun and enjoyable stay, we have put together so handy hints to help you make the most of you stay at Lookout Lodge. Thank you for booking to stay at Lookout Lodge. Please download a guest information pack ahead of your visit. If you do have any specific dietary requirements or allergies please let the team know when you check in or give us a call on 0344 225 1826. Warm Clothes- Whipsnade is high up on the Chiltern Downs and can get a little chilly, especially in the evening. Sensible shoes - there is an optional torchlight walk through the zoo and some of the paths may be uneven. Once you have checked out you will need to store your luggage in your car for the rest of your visit. If you are not bringing a car with you please speak to your hosts on the day of you experience about luggage storage options. Please double check your confirmation to ensure that you have booked additional child tickets if attending on a family friendly night. Please call us on 0344 225 1826 if you are unsure. Ask questions. 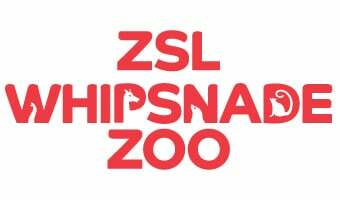 Our hosts are very experienced and knowledgeable about the animals at ZSL Whipsnade Zoo, so ask them absolutely anything you like! Be patient. It is true what they say about working with animals, you never know what to expect. Sometimes we will see them, sometimes we won’t. Your hosts will be with you during the tours to give you the best possible chance of seeing the animals, but we can never make any guarantees. You can revisit their enclosures the next day. Look out for our new baby animals. If you don’t see them on your tour make sure that you ask your hosts the best time to spot them during you visit. If you have time head to ZSL London Zoo after your lodge stay (free entry on day of departure) lookout for our Sumatran Tigers at Tiger Territory. Make your stay even more special by booking one of our upgrades, Champagne, Prosecco or a birthday cake. These are the perfect extras to include on your night if you are celebrating a special occasion. Please call us on 0344 225 1826 to book these extras. They must be booked at least 7 days before your stay. Meet the Animals experience. Lookout Lodge guests are entitled to a 15% discount on all Meet the Animals experiences at either ZSL Whipsnade Zoo or ZSL London Zoo. Please see http://www.zsl.org/meet-the-animals for more details. Keeper for a Day: Take part in our Keeper for a Day experience for £199 per person a saving of 33%. If you have misplaced your booking confirmation or have any questions before your visit, please contact us on 0344 225 1826 or email us your enquiry. A once in a lifetime opportunity to sleep next to ZSL Whipsnade Zoo's white rhinos and experience the zoo as no-one else gets to see it.